As rotary pistons for pumps must have very precise surface geometries, the pistons have to undergo 3D shape measurement. 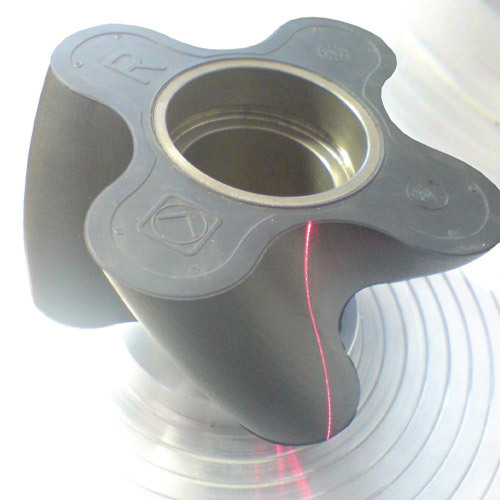 The scanCONTROL laser scanner is moved vertically by a linear axis in a special measuring machine. In doing so, the piston rotates in the measuring range of the scanner. A resolution of 3µm is achieved using this.